This reception marked the 10th anniversary of the Comparative Agendas Project, a worldwide network of political and data scientists working to investigate trends in government, parliamentary and legal activity over time. 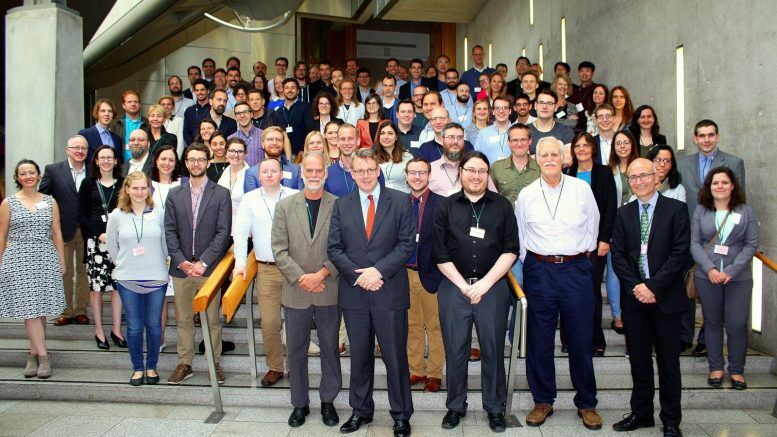 As the Scottish Parliament continues to make its data open, participants heard from international experts on how the same processes have developed in America and elsewhere. Speakers included Adam Tomkins MSP from Scotland’s Futures Forum, Professor Charlie Jeffery, Senior Vice Principal at the University of Edinburgh, and Professor Frank Baumgartner from the University of North Carolina and Professor Bryan Jones from the University of Texas, both on behalf of the Comparative Agendas Project.